You will definitely like this Chinese New Year inspired recipe. You don’t have to go out just to eat your favorite Beef Wonton Noodle Soup. Learn how to cook it at home and you and your family will surely love it. Remember, you don’t have to be Chinese to know how to cook it. 1. In a bowl, mix in all the ingredients for the filling. Ground beef, green onions, ginger, garlic powder, cornstarch, soy sauce, sesame oil, salt and pepper. Mix everything well. 2. Place wonton wrapper in a flat surface. Scoop about a teaspoon of the beef filling mixture and put it on the center. Using your finger, brush some water on all four sides of the wrapper. 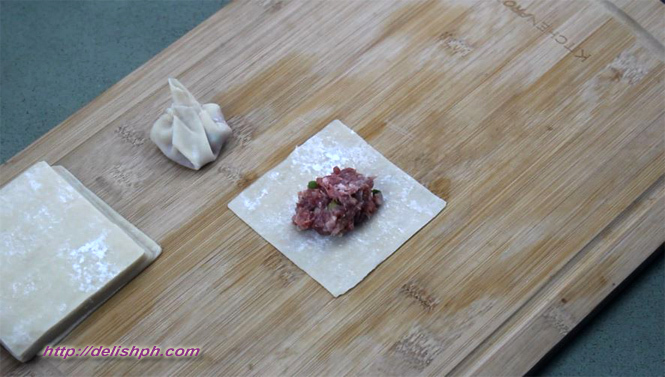 Lift it and put it on your palm, and start sealing the wonton by pinching in a circular motion. (See video for the exact process). Repeat the process for all. 3. Pour about 6 cups of beef broth in a pot. Add some green onions and white onions. Season with soy sauce, salt and pepper. Bring to boil. 4. Drop the pechay in the boiling soup. Leave it for about 3 minutes. Remove from the pot and set aside. 5. Drop the wontons one by one in the pot. Cover and simmer for about 10 minutes. 6. Remove the wontons and set aside. Lower the heat, enough to keep the soup hot. 7. Prepare everything in a bowl. 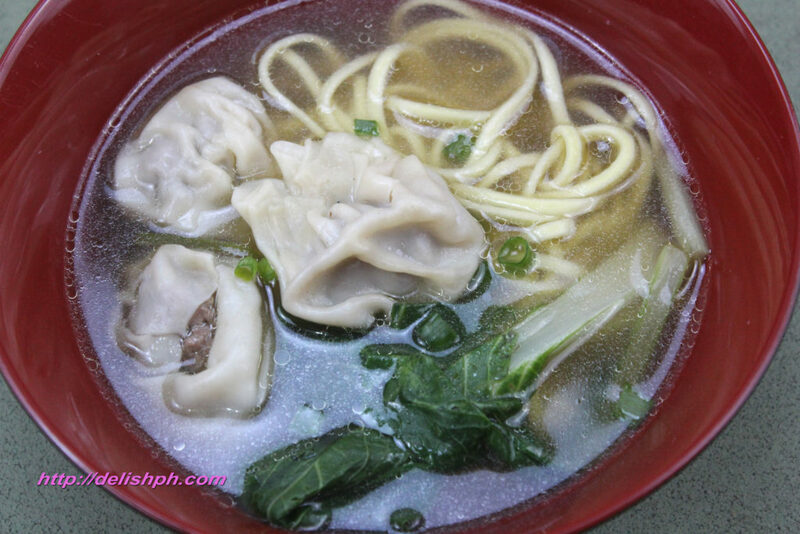 Egg noodles, pechay, wonton and pour in some soup. Top with some chopped green onions.